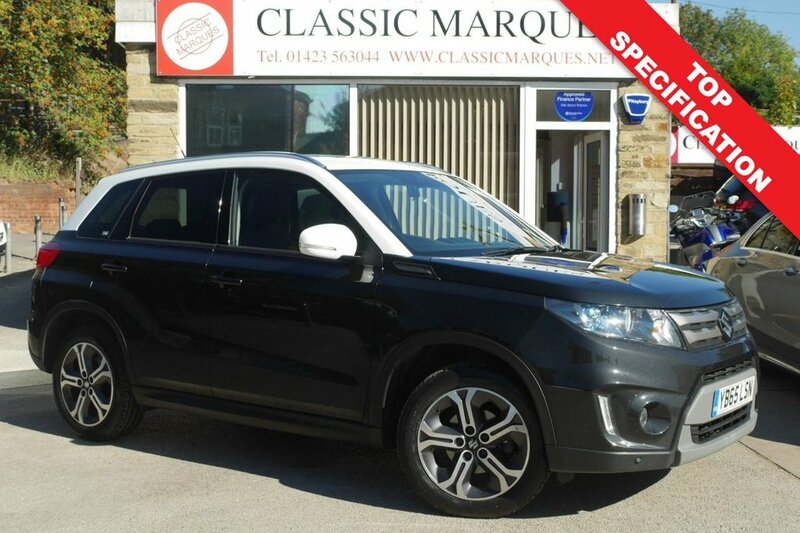 This stunning automatic Suzuki VItara SX5 AllGrip is a lovely low mileage vehicle with the ever popular full panoramic roof. Features include LED driving lights, front and rear parktronic with additional camera, power fold mirrors, adaptive cruise control, hill decent control and bluetooth voice command system. The car also benefits from an F1 Tiptronic Automatic gearbox, full colour navigation system, auto lights and wipers, air conditioning with climate control, rear tinted glass and key less entry. The easy to drive Suzuki will be equally at home on the school run or arriving at the ski resort . Its legendary 4wd all grip system will cope with all adverse snow mud and uneven surfaces This vehicle has just received a full service and provide lots of driving pleasure for its new owner. All vehicles a re supplied with MOT, two keys, HPI check and pre delivery inspection.